This is “Macroeconomics: The Big Picture”, chapter 5 from the book Macroeconomics Principles (v. 1.1). For details on it (including licensing), click here. The U.S. economy seemed to be doing well overall after the recession of 2001. Growth had been fairly rapid, unemployment had stayed low, and inflation seemed to be under control. The economy began to unravel at the end of 2007—total output fell in the fourth quarter. It recovered—barely—in the first quarter, and picked up substantially in the second. Then things went sour…very sour. The economies of the United States and those of much of the world were rocked by the worst financial crisis in nearly 80 years. That crisis plunged the economy into a downturn in total output and employment that seemed likely to last a long time. A good deal of the economy’s momentum when things were going well had been fueled by rising house prices. Between 1995 and 2007, housing prices in the United States more than doubled. As house prices rose, consumers who owned houses grew richer and increased their consumption purchases. That helped fuel economic growth. The boom in housing prices had been encouraged by policies of the nation’s monetary authority, the Federal Reserve, which had shifted to an expansionary monetary policy that held short-term interest rates below the inflation rate. Another development, subprime mortgages—mortgage loans to buyers whose credit or income would not ordinarily qualify for mortgage loans—helped bring on the ultimate collapse. When they were first developed, subprime mortgage loans seemed a hugely profitable investment for banks and a good deal for home buyers. Financial institutions developed a wide range of instruments based on “mortgage-backed securities.” As long as house prices kept rising, the system worked and was profitable for virtually all players in the mortgage market. Many firms undertook investments in mortgage-backed securities that assumed house prices would keep rising. Large investment banks bet heavily that house prices would continue rising. Powerful members of Congress pressured two government-sponsored enterprises, Fannie Mae (the Federal National Mortgage Association) and Freddie Mac (the Federal Home Loan Mortgage Corporation), to be even more aggressive in encouraging banks to make mortgage loans to low-income families. The pressure came from the executive branch of government as well—under both Democratic and Republican administrations. In 1996, the Department of Housing and Urban Development (under Bill Clinton, a Democrat) required that 12% of mortgages purchased by Fannie Mae and Freddie Mac be for households with incomes less than 60% of the median income in their region. That target was increased to 20% in 2000, 22% in 2005 (now under George W. Bush, a Republican), and was to have increased to 28% in 2008.Russell Roberts, “How Government Stoked the Mania,” Wall Street Journal, October 3, 2008, p. A21. But that final target would not be reached, as both Fannie Mae and Freddie Mac were seized by the government in 2008. To top things off, a loosening in bank and investment bank regulations gave financial institutions greater leeway in going overboard with purchases of mortgage-backed securities. As house prices began falling in 2007, a system based on the assumption they would continue rising began to unravel very fast. The investment bank Bear Stearns and insurance company American International Group (AIG) required massive infusions of federal money to keep them afloat. In September of 2008, firm after firm with assets tied to mortgage-backed securities began to fail. In some cases, the government rescued them; in other cases, such as Lehman Brothers, they were allowed to fail. The financial crisis had dramatic and immediate effects on the economy. The economy’s total output, which had been growing through the first half of 2008, fell at an annual rate of 0.5% in the third quarter, according to advance estimates by the Bureau of Economic Analysis. Consumers, having weathered higher gasoline prices and higher food prices for most of the year, reduced their consumption expenditures as the value of their houses and the stocks they held plunged—consumption fell at an annual rate of 3.7% in the third quarter. As cold fear gripped financial markets and expectations of further slowdown ensued, firms cut down on investment spending, which includes spending on plant and equipment used in production. While this nonresidential investment component of output fell at an annual rate of 1.5%, the residential component fell even faster as housing investment sank at an annual rate of 17.6%. Government purchases and net exports rose, but not enough to offset reductions in consumption and private investment.Bureau of Economic Analysis, press release, November 25, 2008. As output shrank, unemployment rose. Through the first nine months of 2008 there was concern that price levels in the United States and in most of the world economies were rising rapidly, but toward the end of the year the concern shifted to whether or not the price level might fall. This recession, which officially began in December 2007 and ended in June 2009, was brutal: At 18 months in length, it was the longest U.S. recession since World War II. The nation’s output fell over 4%. The unemployment rate rose dramatically, hitting 10% at the end of 2009, and remaining above 9% throughout 2010. In 2010, to many people it certainly did not feel that the so-called Great Recession had really ended. Output, employment, and the price level are the key variables in the study of macroeconomics, which is the analysis of aggregate values of economic variables. What determines a country’s output, and why does output in some economies expand while in others it contracts? Why do some economies grow faster than others? What causes prices throughout an economy to fluctuate, and how do such fluctuations affect people? What causes employment and unemployment? Why does a country’s unemployment rate fluctuate? Why do different countries have different unemployment rates? We would pronounce an economy “healthy” if its annual output of goods and services were growing at a rate it can sustain, its price level stable, and its unemployment rate low. What would constitute “good” numbers for each of these variables depends on time and place, but those are the outcomes that most people would agree are desirable for the aggregate economy. When the economy deviates from what is considered good performance, there are often calls for the government to “do something” to improve performance. How government policies affect economic performance is a major topic of macroeconomics. When the financial and economic crises struck throughout the world in 2008, there was massive intervention from world central banks and from governments throughout the world in an effort to stimulate their economies. This chapter provides a preliminary sketch of the most important macroeconomic issues: growth of total output and the business cycle, changes in the price level, and unemployment. Grappling with these issues will be important to you not only in your exploration of macroeconomics but throughout your life. Define real gross domestic product and explain how its calculation avoids both double-counting and the effects of changes in the price level. Identify the phases of a business cycle. Relate business cycles to the overall long-run trend in real GDP in the United States. To determine whether the economy of a nation is growing or shrinking in size, economists use a measure of total output called real GDP. Real GDPThe total value of all final goods and services produced during a particular year or period, adjusted to eliminate the effects of changes in prices., short for real gross domestic product, is the total value of all final goods and services produced during a particular year or period, adjusted to eliminate the effects of changes in prices. Let us break that definition up into parts. Notice that only “final” goods and services are included in GDP. Many goods and services are purchased for use as inputs in producing something else. For example, a pizza parlor buys flour to make pizzas. If we counted the value of the flour and the value of the pizza, we would end up counting the flour twice and thus overstating the value of total production. Including only final goods avoids double-counting. If the flour is produced during a particular period but has not been sold, then it is a “final good” for that period and is counted. We want to determine whether the economy’s output is growing or shrinking. If each final good or service produced, from hammers to haircuts, were valued at its current market price, and then we were to add the values of all such items produced, we would not know if the total had changed because output changed or because prices changed or both. The market value of all final goods and services produced can rise even if total output falls. To isolate the behavior of total output only, we must hold prices constant at some level. For example, if we measure the value of basketball output over time using a fixed price for valuing the basketballs, then only an increase in the number of basketballs produced could increase the value of the contribution made by basketballs to total output. By making such an adjustment for basketballs and all other goods and services, we obtain a value for real GDP. In contrast, nominal GDPThe total value of final goods and services for a particular period valued in terms of prices for that period., usually just referred to as gross domestic product (GDP), is the total value of final goods and services for a particular period valued in terms of prices for that period. For example, real GDP fell in the third quarter of 2008. But, because the price level in the United States was rising, nominal GDP rose 3.6%. We will save a detailed discussion of the computation of GDP for another chapter. In this section, our goal is to use the concept of real GDP to look at the business cycleThe economy’s pattern of expansion, then contraction, then expansion again.—the economy’s pattern of expansion, then contraction, then expansion again—and at growth of real GDP. Figure 5.1 "Phases of the Business Cycle" shows a stylized picture of a typical business cycle. It shows that economies go through periods of increasing and decreasing real GDP, but that over time they generally move in the direction of increasing levels of real GDP. A sustained period in which real GDP is rising is an expansionA sustained period in which real GDP is rising. ; a sustained period in which real GDP is falling is a recessionA sustained period in which real GDP is falling.. 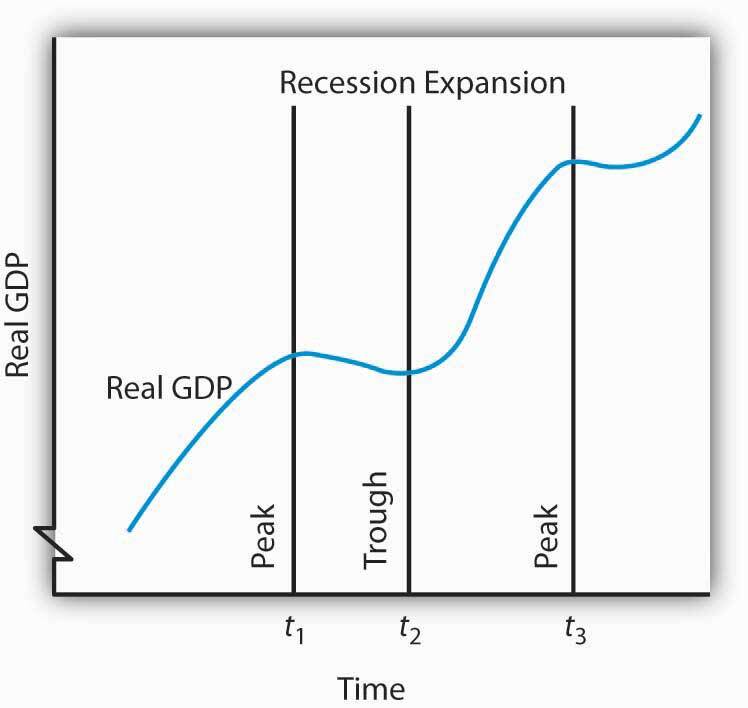 Typically, an economy is said to be in a recession when real GDP drops for two consecutive quarters, but in the United States, the responsibility of defining precisely when the economy is in recession is left to the Business Cycle Dating Committee of the National Bureau of Economic Research (NBER). The Committee defines a recession as a “significant decline in economic activity spread across the economy, lasting more than a few months, normally visible in real GDP, real income, employment, industrial production, and wholesale-retail sales.”“The NBER’s Recession Dating Procedure,” National Bureau of Economic Research, January 7, 2008. The business cycle is a series of expansions and contractions in real GDP. The cycle begins at a peak and continues through a recession, a trough, and an expansion. A new cycle begins at the next peak. Here, the first peak occurs at time t1, the trough at time t2, and the next peak at time t3. Notice that there is a tendency for real GDP to rise over time. At time t1 in Figure 5.1 "Phases of the Business Cycle", an expansion ends and real GDP turns downward. The point at which an expansion ends and a recession begins is called the peakThe point of the business cycle at which an expansion ends and a recession begins. of the business cycle. Real GDP then falls during a period of recession. Eventually it starts upward again (at time t2). The point at which a recession ends and an expansion begins is called the troughThe point of the business cycle at which a recession ends and an expansion begins. of the business cycle. The expansion continues until another peak is reached at time t3.Some economists prefer to break the expansion phase into two parts. The recovery phase is said to be the period between the previous trough and the time when the economy achieves its previous peak level of real GDP. The “expansion” phase is from that point until the following peak. A complete business cycle is defined by the passage from one peak to the next. Because the Business Cycle Dating Committee dates peaks and troughs by specific months, and because real GDP is estimated only on a quarterly basis by the Bureau of Economic Analysis, the committee relies on a variety of other indicators that are published monthly, including real personal income, employment, industrial production, and real wholesale and retail sales. The committee typically determines that a recession has happened long after it has actually begun and sometimes ended! In large part, that avoids problems when data released about the economy are revised, and the committee avoids having to reverse itself on its determination of when a recession begins or ends, something it has never done. In December 2008, the Committee announced that a recession in the United States had begun in December 2007. Interestingly, real GDP fell in the fourth quarter of 2007, grew in the first and second quarters of 2008, and shrank in the third quarter of 2008, so clearly the Committee was not using the two consecutive quarters of declining GDP rule-of-thumb. Rather, it was taking into account the behavior of a variety of other variables, such as employment and personal income. Figure 5.2 "Expansions and Recessions, 1960–2010" shows movements in real GDP in the United States from 1960 to 2010. Over those years, the economy experienced eight recessions (including the current one), shown by the shaded areas in the chart. Although periods of expansion have been more prolonged than periods of recession, we see the cycle of economic activity that characterizes economic life. The chart shows movements in real GDP since 1960. 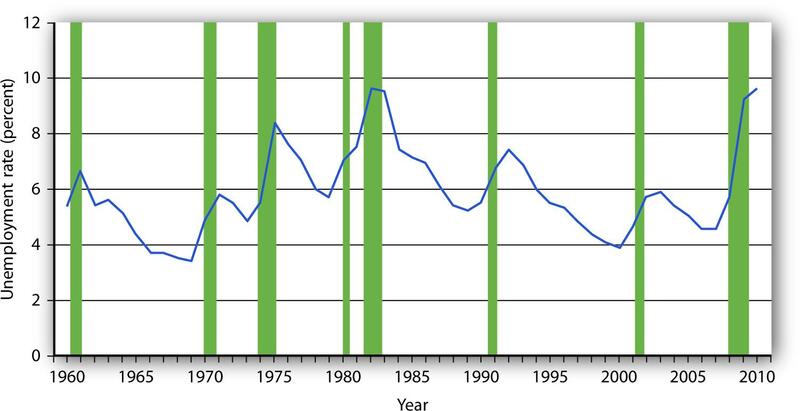 Recessions—periods of falling real GDP—are shown as shaded areas. On average, the annual rate of growth of real GDP over the period was 3.2% per year. Source: Bureau of Economic Analysis, NIPA Table 1.1.6. Real Gross Domestic Product, Chained Dollars [Billions of chained (2005) dollars]. Seasonally adjusted at annual rates. Data for 2010 is through 3rd quarter. Real GDP clearly grew between 1960 and 2010. While the economy experienced expansions and recessions, its general trend during the period was one of rising real GDP. The average annual rate of growth of real GDP was about 3.2%. During the post–World War II period, the average expansion has lasted 58 months, and the average recession has lasted about 11 months. The 2001 recession, which lasted eight months, was thus slightly shorter than the average. The 2007-2009 recession lasted 18 months; it was the longest of the post-World War II period. Economists have sought for centuries to explain the forces at work in a business cycle. Not only are the currents that move the economy up or down intellectually fascinating but also an understanding of them is of tremendous practical importance. A business cycle is not just a movement along a curve in a textbook. It is new jobs for people, or the loss of them. It is new income, or the loss of it. It is the funds to build new schools or to provide better health care—or the lack of funds to do all those things. The story of the business cycle is the story of progress and plenty, of failure and sacrifice. During the recent recession, the job outlook for college graduates deteriorated. According to a National Association of Colleges and Employers study, 20% of college graduates seeking jobs had one waiting after graduation in 2009. In 2010, that percent rose to 24% but the average salary had slipped 1.7% from the previous year. The unemployment rate for college graduates under age 25 rose from 3.7% in April 2007 to 8% in April 2010. The unemployment rate for high school graduates who never enrolled in college went from 11.4% to 24.5% over the same two-year period. Steven Greenhouse, “Job Market Gets Better for U.S. Graduates, But Only Slightly: Offers Will Increase 5% Over Last Year; Average Starting Salaries Are Down,” The International Herald Tribune, May 26, 2010, Finance 16. The effects of recessions extend beyond the purely economic realm and influence the social fabric of society as well. Suicide rates and property crimes—burglary, larceny, and motor vehicle theft tend to rise during recessions. Even popular music appears to be affected. Terry F. Pettijohn II, a psychologist at Coastal Carolina University, has studied Billboard No. 1 songs from 1955–2003. He finds that during recessions, popular songs tend to be longer and slower, and to have more serious lyrics. “It’s ‘Bridge over Troubled Water’ or ‘That’s What Friends Are For’,” he says. During expansions, songs tend to be faster, shorter, and somewhat sillier, such as “At the Hop” or “My Sharona.”Tamar Lewin, “A Hemline Index, Updated,” New York Times, October 19, 2008, Section WK, 1. In our study of macroeconomics, we will gain an understanding of the forces at work in the business cycle. We will also explore policies through which the public sector might act to make recessions less severe and, perhaps, to prolong expansions. We turn next to an examination of price-level changes and unemployment. Real gross domestic product (real GDP) is a measure of the value of all final goods and services produced during a particular year or period, adjusted to eliminate the effects of price changes. The economy follows a path of expansion, then contraction, then expansion again. These fluctuations make up the business cycle. The point at which an expansion becomes a recession is called the peak of a business cycle; the point at which a recession becomes an expansion is called the trough. Over time, the general trend for most economies is one of rising real GDP. On average, real GDP in the United States has grown at a rate of over 3% per year since 1960. The data below show the behavior of real GDP in Turkey from the first quarter of 2001 through the third quarter of 2002. Use the data to plot real GDP in Turkey and indicate the phases of the business cycle. People who make a living tracking the economy and trying to predict its future do not do a very good job at predicting turning points in economic activity. The 52 economists surveyed by the Wall Street Journal each month did predict that the economy would slip into a recession in the third quarter of 2008. They made that prediction, however, in October—after the third quarter had ended. In September, the last month of the third quarter, the average forecast among the 52 economists had the economy continuing to grow through the third and fourth quarters of 2008. That September survey was taken before the financial crisis hit, a crisis that took virtually everyone by surprise. Of course, as we have already noted, the third-quarter downturn had not been identified as a recession by the NBER’s Business Cycle Dating Committee as of November of 2008. 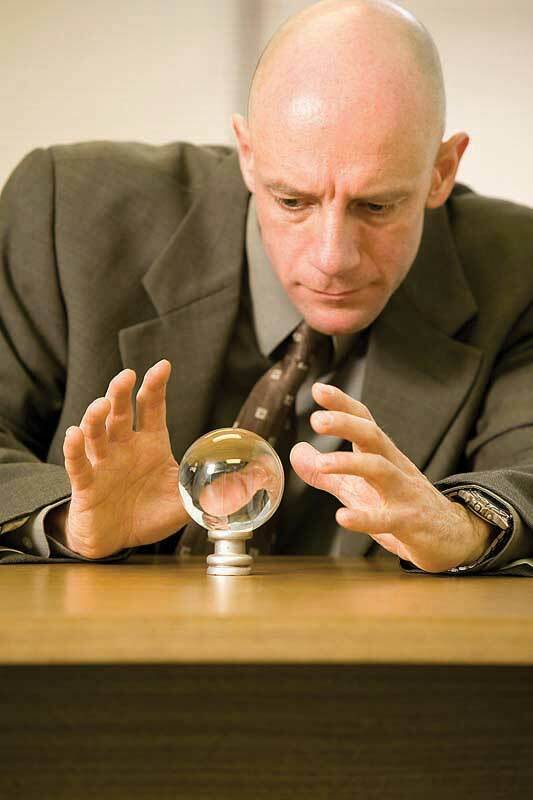 Predicting business cycle turning points has always been a tricky business. The experience of the recession of 2001 illustrates this. As the accompanying table shows, even as late as September 10, 2001, only 13 out of the 100 Blue Chip forecasters had answered in the affirmative to the question, “Has the United States slipped into a recession?” even though we now know the recession had begun the previous March. Comparing the data that were originally released by the U.S. Bureau of Economic Analysis shortly after the end of each quarter with the revised data that were released after July 2002 provides an important insight into explaining why the forecasters seem to have done so badly. 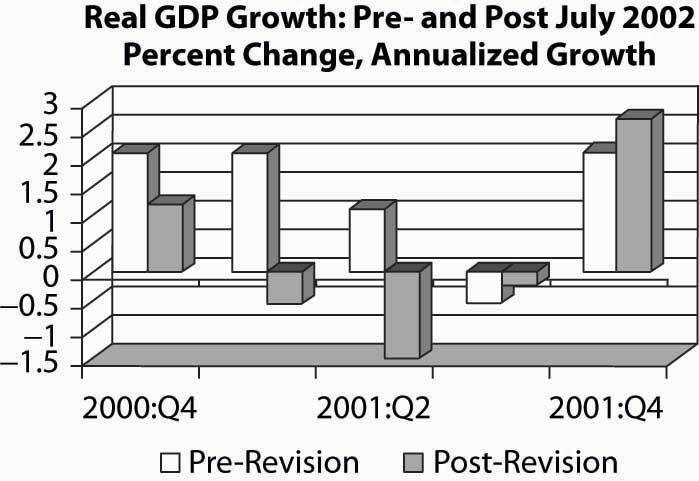 As the graph on pre-revision and post-revision estimates of real GDP growth shows, the data released shortly after the end of each quarter showed an economy expanding through the second quarter of 2001, whereas the revised data show the economy contracting modestly in the first quarter of 2001 and then more forcefully in the second quarter. Only after the attacks on the World Trade Center in New York City and the Pentagon in Washington, D.C., on September 11, 2001, did most of the Blue Chip forecasters realize the economy was in recession. The National Bureau of Economic Research (NBER) Business Cycle Dating Committee in November 2001 released a press announcement dating the onset of the recession as March 2001. The committee argued that “before the attacks of September 11, it is possible that the decline in the economy would have been too mild to qualify as a recession. The attacks clearly deepened the contraction and may have been an important factor in turning the episode into a recession.” While surprising at the time, the revised data suggest that the committee made a good call. This episode in economic history also points out the difference between the common definition of a recession as two consecutive quarters of declining real GDP and the NBER Dating Committee’s continued insistence that it does not define a recession in this way. Rather the committee looks not only at real GDP but also at employment, income, and other factors. The behavior of employment during 2001 seems to have been an important factor in the November 2001 decision to proclaim March 2001 as the peak despite the misleading information on real GDP coming out of the Bureau of Economic Analysis at the time. The slow pickup in employment may also, though, have made it hesitate to call November 2001 the trough until July 2003. Sources: Phil Izzo, “Economists Expect Crisis to Deepen,” Wall Street Journal Online, October 10, 2008; Kevin L. Kliesen, “The 2001 Recession: How Was It Different and What Developments May Have Caused It?” Federal Reserve Bank of St. Louis Review, September/October 2003: 23–37; http://www.nber.org/cycles/; “Press Release,” Business Cycle Dating Committee, National Bureau of Economic Research, press release, Cambridge, Massachusetts, July 17, 2002. Concern about changes in the price level has always dominated economic discussion. With inflation in the United States generally averaging only between 2% and 3% each year since 1990, it may seem surprising how much attention the behavior of the price level still commands. Yet inflation was a concern in 2004 when there was fear that the rising price of oil could trigger higher prices in other areas. Just the year before, when inflation fell below 2%, there was talk about the risk of deflation. That did not happen; prices continued rising. Inflation rose substantially in the first half of 2008, renewing fears about subsequent further increases. 2010 brought on renewed concern of possible deflation. Just what are inflation and deflation? How are they measured? And most important, why do we care? These are some of the questions we will explore in this section. Inflation is measured as the annual rate of increase in the average level of prices. 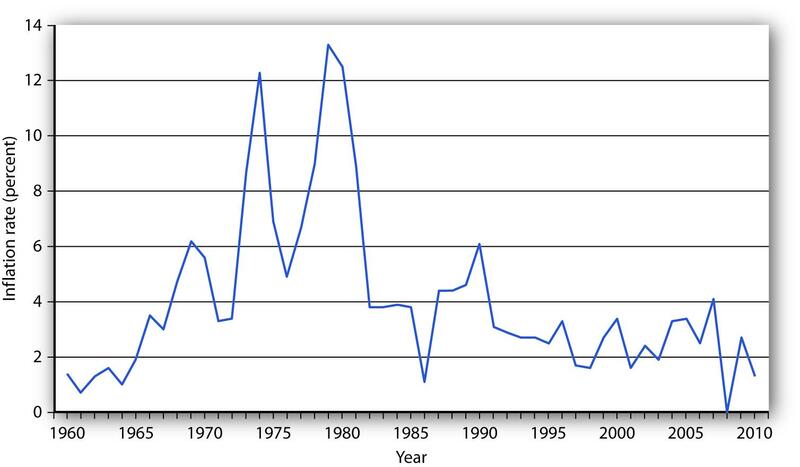 Figure 5.6 "Inflation, 1960–2010" shows how volatile inflation has been in the United States over the past four decades. In the 1960s the inflation rate rose, and it became dramatically worse in the 1970s. The inflation rate plunged in the 1980s and continued to ease downward in the 1990s. It remained low in the early 2000s and began to accelerate in 2007 and has remained low since. The U.S. inflation rate, measured as the annual rate of change in the average level of prices paid by consumers, varied considerably over the 1960–2010 period. Source: Bureau of Labor Statistics, All Urban Consumers CPI-U, 1982–84 = 100, Dec.–Dec. inflation rate. Data for 2010 is through October. Uncertainty can be particularly pronounced in countries where extremely high inflation is a threat. HyperinflationAn inflation rate in excess of 200% per year. is generally defined as an inflation rate in excess of 200% per year. Inflation of that magnitude erodes the value of money very quickly. Hyperinflations occurred in Germany in the 1920s and in Yugoslavia in the early 1990s. There are stories about how people in Germany during the hyperinflation brought wheelbarrows full of money to stores to pay for ordinary items. In Yugoslavia in 1993 there was a report of a shop owner barring the entrance to his store with a mop while he changed his prices. The inflation rate rose to an astronomical rate in 2008 in Zimbabwe. As the government printed more money and put it in circulation, prices rose. When inflation began to accelerate, the government found it “necessary” to print more and more money, causing prices to rise very fast. The inflation rate in Zimbabwe reached an astonishing 11.2 million percent in July of 2008, according to Zimbabwe’s Central Statistics Office. A loaf of bread cost 200,000 Zimbabwe dollars in February 2008. That same loaf cost 1.6 trillion Zimbabwe dollars by August.“Zimbabwe Inflation Hits 11,200,000%,” CNN.com, August 19, 2008. If there is deflation, the real value of a given amount of money rises. In other words, if there had been deflation since 2000, a $10 bill you had stashed away in 2000 would buy more goods and services today. That sounds good, but should you buy $10 worth of goods and services now when you would be able to buy even more for your $10 in the future if the deflation continues? When Japan experienced deflation in the late 1990s and early 2000s, Japanese consumers seemed to be doing just that—waiting to see if prices would fall further. They were spending less per person and, as we will see throughout our study of macroeconomics, less consumption often meant less output, fewer jobs, and the prospect of a recurring recessions. Our next step in computing the movie price index is to determine the cost of the market basket. Suppose we surveyed movie theaters and DVD-rental stores in 2007 to determine the average prices of these items, finding the values given in Table 5.1 "Pricing a Market Basket". At those prices, the total monthly cost of our movie market basket in 2007 was $48. Now suppose that in 2008 the prices of movie admissions and DVD rentals rise, soft-drink prices at movies fall, and popcorn prices remain unchanged. The combined effect of these changes pushes the 2008 cost of the basket to $50.88. To compute a price index, we need to define a market basket and determine its price. The table gives the composition of the movie market basket and prices for 2007 and 2008. The cost of the entire basket rises from $48 in 2007 to $50.88 in 2008. The value of any price index in the base period is always 1. In the case of our movie price index, the 2007 index would be the current (2007) cost of the basket, $48, divided by the base-period cost, which is the same thing: $48/$48 = 1. Like many other price indexes, the CPI is computed with a fixed market basket. The composition of the basket generally remains unchanged from one period to the next. Because buying patterns change, however, the basket is revised accordingly. The data in Table 5.1 "Pricing a Market Basket", for example, are based on 2005–2006 expenditure weights. The base period, though, was still 1982–1984. For example, in 2007, nominal GDP in the United States was $13,807.5 billion, and real GDP was $11,523.9 billion. Thus, the implicit price deflator was 1.198. Following the convention of multiplying price indexes by 100, the published number for the implicit price deflator was 119.8. The Bureau of Economic Analysis also produces price index information for each of the components of GDP (that is, a separate price index for consumer prices, prices for different components of gross private domestic investment, and government spending). The personal consumption expenditures price indexA price index that includes durable goods, nondurable goods, and services and is provided along with estimates for prices of each component of consumption spending., or PCE price index, includes durable goods, nondurable goods, and services and is provided along with estimates for prices of each component of consumption spending. Because prices for food and energy can be volatile, the price measure that excludes food and energy is often used as a measure of underlying, or “core,” inflation. Note that the PCE price index differs substantially from the consumer price index, primarily because it is not a “fixed basket” index.For a comparison of price measures, including a comparison of the PCE price index and the Consumer Price Index, see Brain C. Moyer, “Comparing Price Measures—The CPI and PCE Price Index” (lecture, National Association for Business Economics, 2006 Washington Economic Policy Conference, March 13–14, 2006), available at http://www.bea.gov/bea/papers.htm. The PCE price index has become a politically important measure of inflation since the Federal Reserve (discussed in detail in later chapters) uses it as its primary measure of price levels in the United States. Suppose your uncle started college in 1998 and had a job busing dishes that paid $5 per hour. In 2008 you had the same job; it paid $6 per hour. Which job paid more? At first glance, the answer is straightforward: $6 is a higher wage than $5. But $1 had greater purchasing power in 1998 than in 2008 because prices were lower in 1998 than in 2008. To obtain a valid comparison of the two wages, we must use dollars of equivalent purchasing power. A value expressed in units of constant purchasing power is a real valueA value expressed in units of constant purchasing power.. A value expressed in dollars of the current period is called a nominal valueA value expressed in dollars of the current period.. The $5 wage in 1998 and the $6 wage in 2008 are nominal wages. Given the nominal wages in our example, you earned about 10% less in real terms in 2008 than your uncle did in 1998. The cost of a trip to the old ball game jumped 7.9% in 2008, according to Team Marketing Report, a Chicago-based newsletter. The report bases its estimate on its fan price index, whose market basket includes two adult average-priced tickets, two child average-priced tickets, two small draft beers, four small soft drinks, four regular-sized hot dogs, parking for one car, two game programs, and two least expensive, adult-sized adjustable baseball caps. The average price of the market basket was $191.92 in 2008. 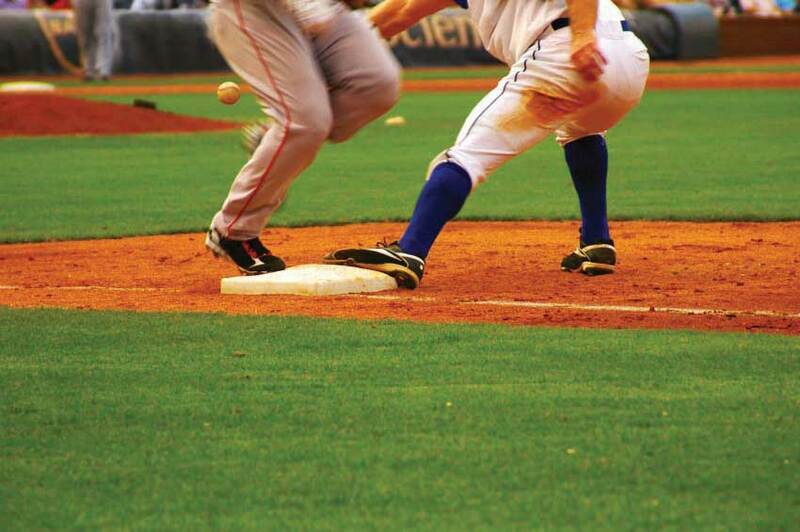 Team Marketing compiles the cost of the basket for each of major league baseball’s 30 teams. According to this compilation, the Boston Red Sox was the most expensive team to watch in 2008; the Tampa Bay Rays was the cheapest. The Rays made it to the World Series in 2008; the Red Sox did not. By that measure, the Rays were something of a bargain. The table shows the cost of the fan price index market basket for 2008. Sources: Team Marketing Report, TMR’s Fan Cost Index Major League Baseball 2008 at http://www.teammarketing.com and personal interview. To estimate the unemployment rate, government surveyors fan out across the country each month to visit roughly 60,000 households. At each of these randomly selected households, the surveyor asks about the employment status of each adult (everyone age 16 or over) who lives there. Many households include more than one adult; the survey gathers information on about roughly 100,000 adults. The surveyor asks if each adult is working. If the answer is yes, the person is counted as employed. 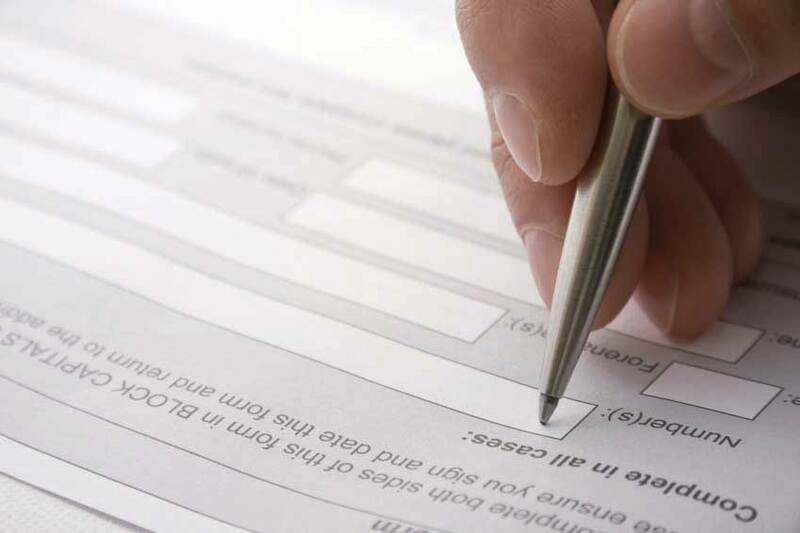 If the answer is no, the surveyor asks if that person has looked for work at some time during the previous four weeks and is available for work at the time of the survey. If the answer to that question is yes, the person is counted as unemployed. If the answer is no, that person is not counted as a member of the labor force. Figure 5.8 "Computing the Unemployment Rate" shows the survey’s results for the civilian (nonmilitary) population for November 2010. The unemployment rate is then computed as the number of people unemployed divided by the labor force—the sum of the number of people not working but available and looking for work plus the number of people working. In November 2010, the unemployment rate was 9.8%. A monthly survey of households divides the civilian adult population into three groups. Those who have jobs are counted as employed; those who do not have jobs but are looking for them and are available for work are counted as unemployed; and those who are not working and are not looking for work are not counted as members of the labor force. The unemployment rate equals the number of people looking for work divided by the sum of the number of people looking for work and the number of people employed. Values are for November 2010. All numbers are in thousands. 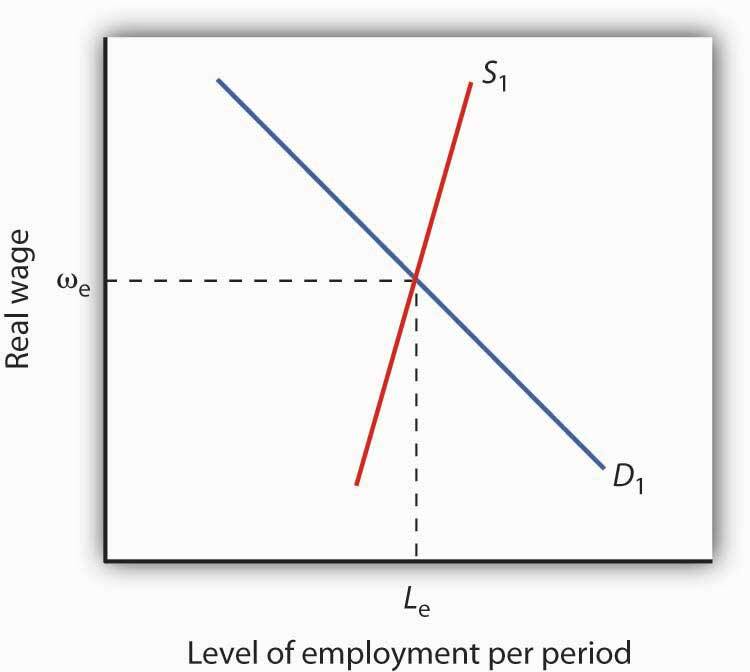 Figure 5.9 "The Natural Level of Employment" applies the demand and supply model to the labor market. The price of labor is taken as the real wage, which is the nominal wage divided by the price level; the symbol used to represent the real wage is the Greek letter omega, ω. The supply curve is drawn as upward sloping, though steep, to reflect studies showing that the quantity of labor supplied at any one time is nearly fixed. Thus, an increase in the real wage induces a relatively small increase in the quantity of labor supplied. The demand curve shows the quantity of labor demanded at each real wage. The lower the real wage, the greater the quantity of labor firms will demand. In the case shown here, the real wage, ωe, equals the equilibrium solution defined by the intersection of the demand curve D1 and the supply curve S1. The quantity of labor demanded, Le, equals the quantity supplied. The employment level at which the quantity of labor demanded equals the quantity supplied is called the natural level of employmentThe employment level at which the quantity of labor demanded equals the quantity supplied.. It is sometimes referred to as full employment. Figure 5.10 "Unemployment Rate, 1960–2010" shows the unemployment rate in the United States for the period from 1960 through November 2010. We see that it has fluctuated considerably. How much of it corresponds to the natural rate of unemployment varies over time with changing circumstances. For example, in a country with a demographic “bulge” of new entrants into the labor force, frictional unemployment is likely to be high, because it takes the new entrants some time to find their first jobs. This factor alone would raise the natural rate of unemployment. A demographic shift toward more mature workers would lower the natural rate. During recessions, highlighted in Figure 5.10 "Unemployment Rate, 1960–2010", the part of unemployment that is cyclical unemployment grows. The analysis of fluctuations in the unemployment rate, and the government’s responses to them, will occupy center stage in much of the remainder of this book. The chart shows the unemployment rate for each year from 1960 to 2010. Recessions are shown as shaded areas. Source: Economic Report of the President, 2010, Table B-42. Data for 2010 is average of first eleven months from the Bureau of Labor Statistics home page.